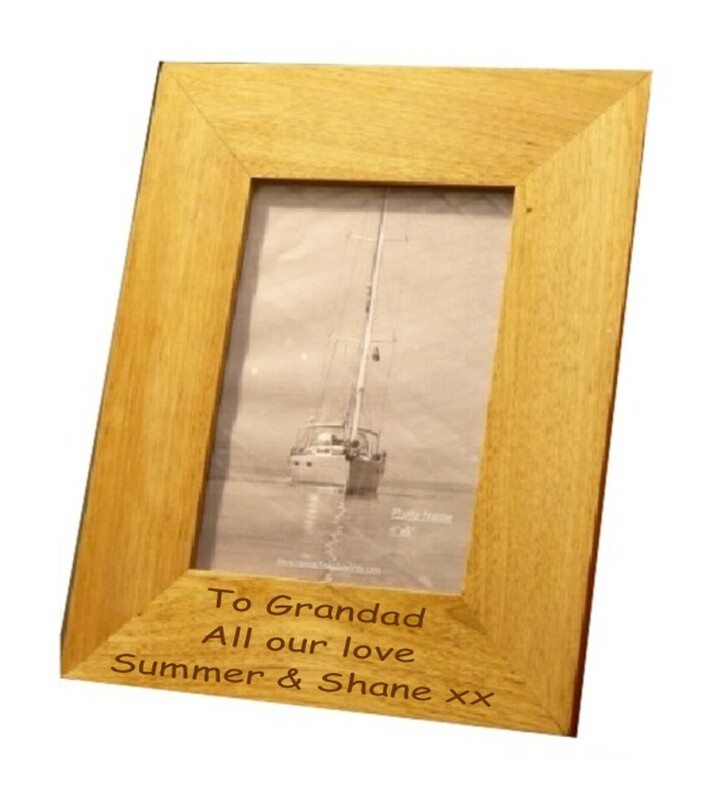 Engraved Oak Wooden Photo Frame. This great quality personalised photo frame is available in 2 sizes, 6" x 4" and 8" x 6" and has a stand on the back. Engraving can be portrait or landscape please specify this with your customisation. If you do not specify we will engrave for a portrait orientation.